A shirt dress is always a wardrobe winner and this latest arrival from our new sustainable collection is a must-have. 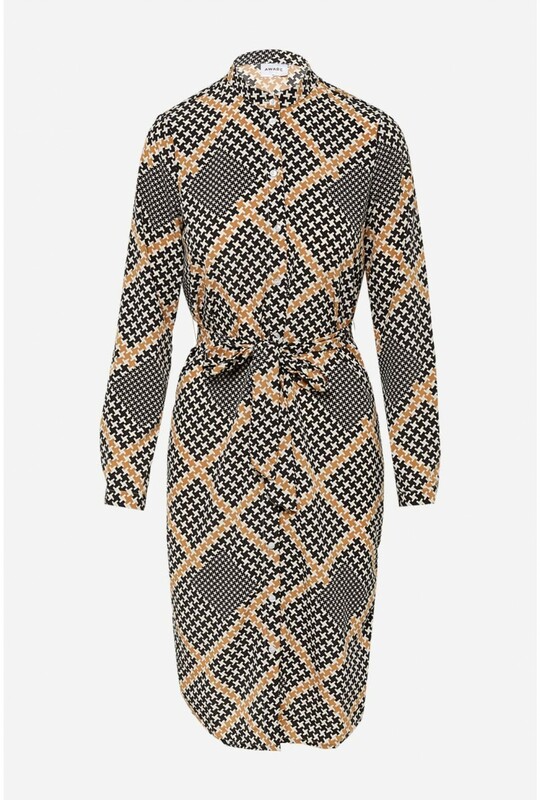 In a loose fit, button placket and tie-waist to define the waist, wear with your favourite heels. This new arrival is part of our AWARE collection aiming to move towards a more sustainable fashion future . Choosing environmentally friendly pieces can help protect the environment and encourage the development towards a more sustainable fashion future.